This customized polypropylene drawstring cinch backpack is one of the most ordered item in this website because it combines affordability, utility, purpose and manageability – most of the times. This polypropylene drawstring backpack offers large space for storing essentials (large compartment with drawstring rope closure) and small top pockets for storing handy things. It easily becomes a best friend of a person who is always on move. You can avail this cinch backpack in best buy prices by bulk ordering it from us. 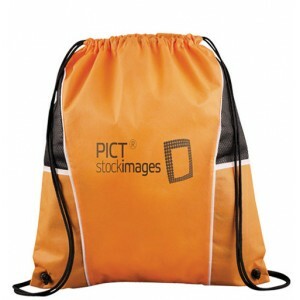 Request a quote to know wholesale price savings for this personalized polypropylene drawstring cinch backpack. Features – Open main compartment with drawstring rope closure. Open top pockets on each side.